Side 1: Milled over smooth or mesh- a tackier, more textured feel which is also a great wear indicator. (Once the mesh texture wears from the surface, you know it is time to replace your inserts) Side 2: Sof-T Power Lift 1/8"- forward pitch provides a more subtle increase in loft. The finger pad has a contoured shape and smooth surface. Ideal for beginner bowlers. Do I only get 1 grip for the price or is it a bag? Hello Mike. The price listed for this product is for 1 grip. Thanks for asking! 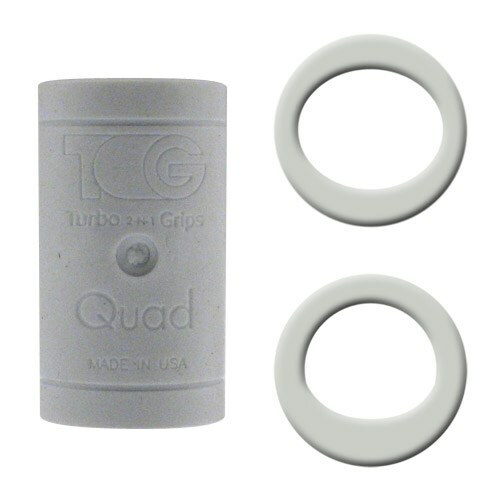 Due to the time it takes to produce the Turbo Grips Quad White Soft Power Lift/Oval Mesh Inserts ball it will ship in immediately. We cannot ship this ball outside the United States.